Hiring a qualified M&A Advisor is one of the most important decisions a business owner can make. Simply listing a business on a website, providing only basic information and not having a network of existing relationships—as might be the case with a business broker—is not an effective way of finding qualified buyers or maximizing your company's sale price, particularly for businesses with revenue above $5 million. Valuations – An objective understanding of all relevant factors that determine your company's current market value is critical to understanding potential sale prices, evaluating whether the time is right to commence the process and determining what steps to take to maximize that sales price. Having Protegrity Advisors prepare a market valuation is a worthwhile first step under any circumstances. Packaging and Presenting the Business – Positioning your business and its products or services, employees and management team, customer base, sales channels, intellectual property, market segment and historical and projected future financial performance in the best possible—and credible—light is critical to attracting interest from the right qualified buyers and maximizing your company's value, particularly for family-owned businesses. For example, simply providing financial statements prepared by your outside accountant is one of the surest ways to undervalue your business and negotiate from a position of weakness. Our financial analysts leave no stone unturned to present your business on an "adjusted" basis to maximize valuations, which is how most private equity and strategic buyers are accustomed to assessing a company's true value. 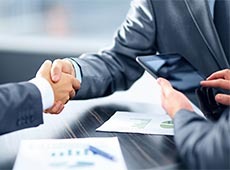 Finding and Negotiating with Qualified Buyers – Whether you believe you already have a buyer or are seeking multiple bidders, Protegrity Advisors has years of experience researching, identifying, qualifying and negotiating with all types of buyers and structuring a wide variety of deal terms. We also have relationships with highly qualified private equity and strategic buyers who look to us for deals. Attempting to negotiate directly with a buyer or bringing in legal counsel too early in the process both put your deal at substantial risk. Our M&A team understands the process thoroughly, can help you avoid costly mistakes, and will allow you to focus on running your business. Divestitures – Companies with $50 million or more in revenue may have business units or subsidiaries that could be ripe for divestiture. However, many of these companies do not have the internal resources, bandwidth, or expertise to confidentially and effectively analyze whether a divestiture is an option that should be explored and manage all of the steps in the process.